Thirteen vendors and farmers were awarded at the annual Market Day with a Difference for their dedication, product quality and customer service. The event took place on Saturday 27th October 2018 at the Roseau Market. 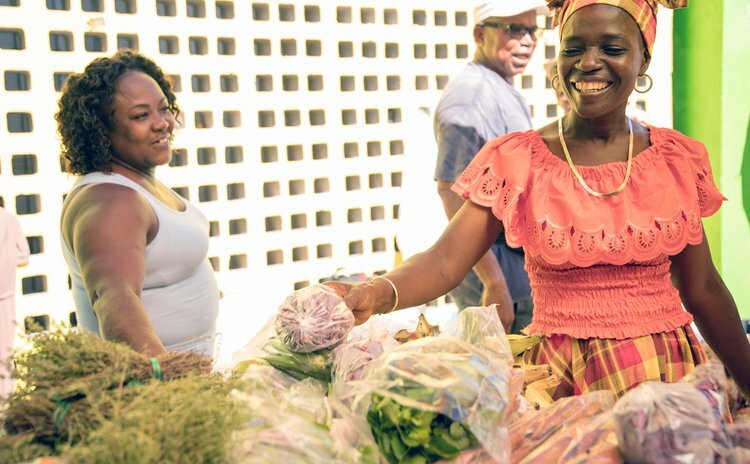 Organised by the Dominica Export Import Agency (DEXIA) and the Roseau Market Authority, Market Day with a Difference, seeks to recognize persons who have contributed to the development of agriculture and national economy. The awardees were announced by DEXIA General Manager, Gregoire Thomas and prizes were handed out by the chairperson of DEXIA's Board of Directors, Hannah Clarendon. The awardees are: Brian & Celsia Alexander- 1st Place, Best Farmer; Helena Williams- 2nd Place, Best Farmer; Emanuel Pierre- 1st Place, Mobile Vendors; Irma & Edmund Williams- 2nd Place, Mobile Vendors; Louis Charles- Special Award, Mobile Vendors; Samuel Pacquette- 1st Place, Butchers; Richard Bellot- Special Award, Butchers; Cecilia Durand- 1st Place, Shops; Claudette John- 2nd Place, Shops; Shelley Anne Cadette- Youngest Vendor;Paulina Denis- Oldest Vendor; Marie Jno. Phillip- Best Dressed Vendor; Hazel Baptiste-Thomas- Best Decorated Stall; Brenda Peters- Special Award, Vendor; Sonia Williams- Best Dressed Shopper. Cultural performances came from the Massacre Cultural Group, Petite Savanne Cultural Group and La Sel Diféwans. There were product displays from the Waitukubuli Artists Association, the St. Mary's Academy and Grand Bay Primary 4-H clubs and the Dominica Health and Wellness Association.